Definition at line 94 of file trust-anchor-group.hpp. 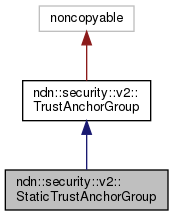 Create a static trust anchor group. Definition at line 61 of file trust-anchor-group.cpp. Definition at line 67 of file trust-anchor-group.cpp. References ndn::security::v2::CertContainerInterface::add(), ndn::security::v2::TrustAnchorGroup::m_anchorNames, and ndn::security::v2::TrustAnchorGroup::m_certs. Definition at line 78 of file trust-anchor-group.cpp. 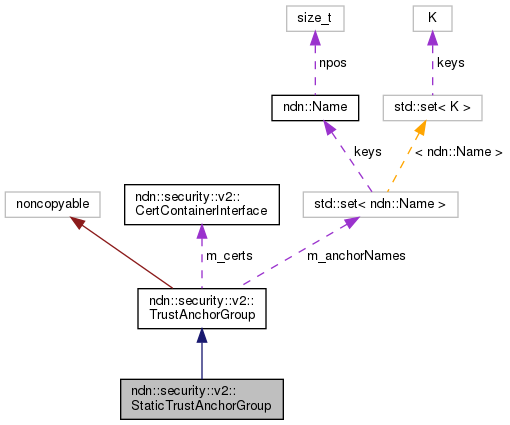 References ndn::security::v2::TrustAnchorGroup::m_anchorNames, ndn::security::v2::TrustAnchorGroup::m_certs, and ndn::security::v2::CertContainerInterface::remove().